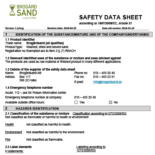 The raw material is extensively processed to become the specially customized sand that we offer to our customers. Our production facility is automated with a high level of technical capabilities, which means the sand is processed in a controlled and efficient way. 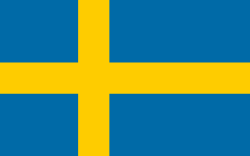 The various stages of the process are tailored to the type of sand being produced and to how it will be used. 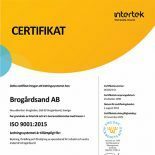 The unique qualities of our sand and our long experience guarantee a high, even quality and we meet the quality standards of ISO 9001. We also consider it important to look after the environment surrounding our quarries. 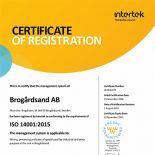 Brogårdsand therefore works actively on environmental issues and is environmentally certified in line with ISO 14001. Naturally, we are involved in sustainability issues and the importance of focussing on the environment and the future is clear to us. Since 2015, we have been self-sufficient in green electricity and our two wind turbines, located on Rödstahöjden just outside of Sollefteå, collectively generate almost 20 GWh of renewable energy. This is twice as much as our companies currently consumes, which allows us to continue to grow while contributing to a sustainable society. See how our wind turbines took shape and what the transition to renewable energy means for our operations and concrete production.